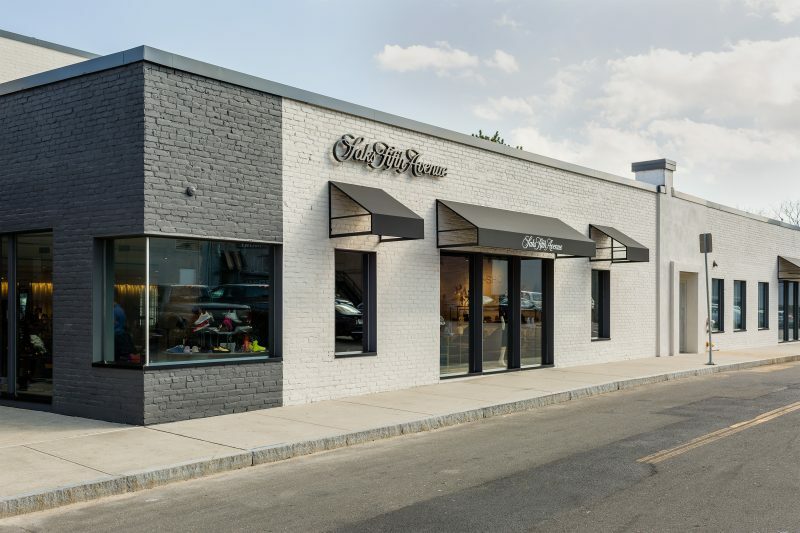 Chicsters in Greenwich, Connecticut flocked to the grand opening of Saks Fifth Avenue’s first standalone 10022-Shoe, a.k.a. a 14,000-square-foot heaven on Earth, last night. 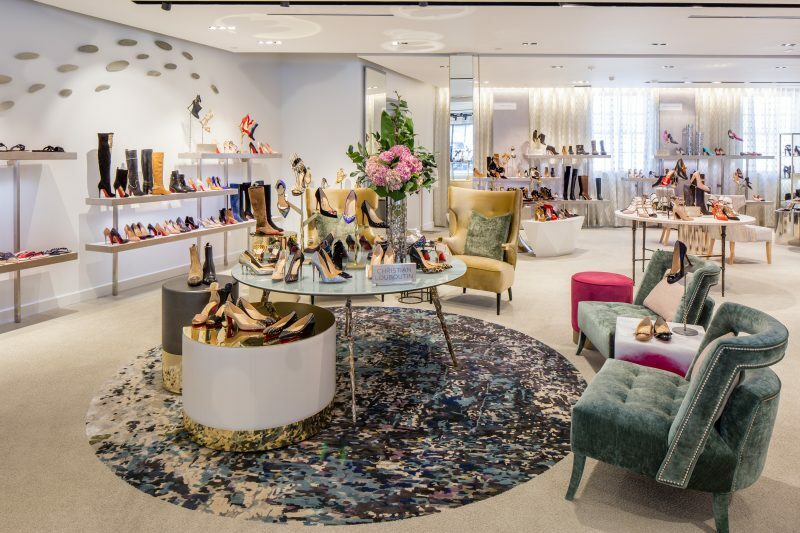 In addition to introducing a slew of brands to the area—think Gianvito Rossi, Balenciaga, Aquazzura, Givenchy, and Dries Van Noten—the store offers a VIP room for guests to try on shoes with their different outfits, a variety of original art and installations on display, an industrial chic aesthetic, and luxury seating areas. Ticket profits from the evening and 10 percent of sales between October 19 and 23 will go to nonprofit Sole Sisters. 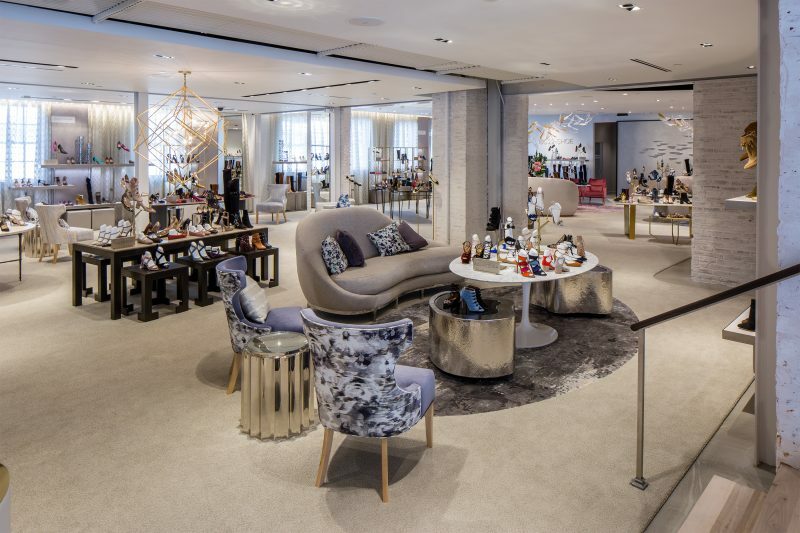 “[The Saks Shops Greenwich] is highly productive and we felt like we were underutilized in our footwear area,” Tracy Margolies, chief merchant at Saks Fifth Avenue, told us. “What we’ve done here is created a really great social atmosphere for people who just want to come, hang out, meet their friends, or entertain a party. It’s a great event space—I would love to have a party here! We’re renovating the main store as well, but this is our first ever standalone shoe store.” The opening of 10022 shoe is the first in a series of openings in the area—it will unveil The Vault, its shop for high and fine jewelry, in May, The Collective for modern designer fashion in February, and renovate The Main store later in 2017. 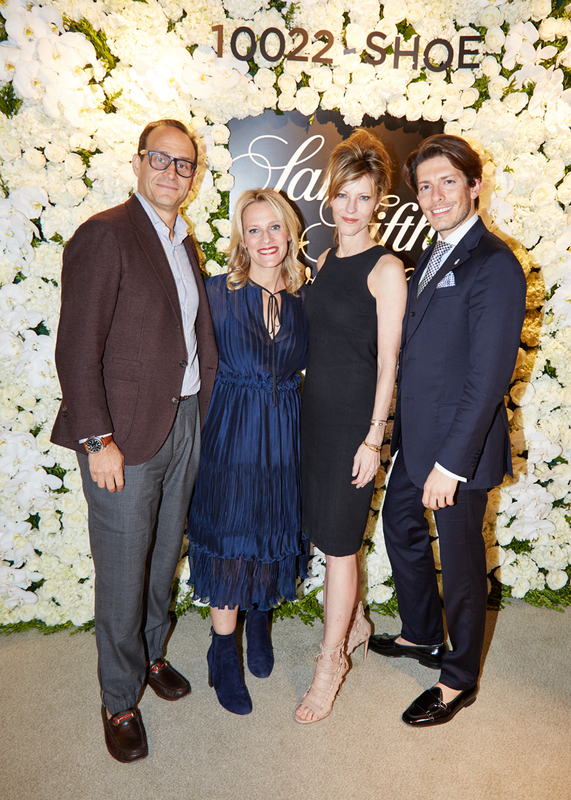 Aquazzura founder and creative director Edgardo Osorio also celebrated a first yesterday—a visit to Connecticut—to celebrate the opening. We caught up with the shoe maestro about his brand, his thoughts on Connecticut, and what he’s obsessing over these days. Many things! We’re launching babies this Christmas—I made Aquazzura mini! We’re opening in Bal Harbour in Miami in November. And we keep growing! Where are you finding inspo these days? This winter collection is actually inspired by a trip I took to Russia last year. Specifically, Saint Petersburg, during the White Nights, when the sun never sets. I completely fell in love with this idea of old Russia, the czars. I’d been reading a lot about it. The collection is called From Russia, With Love. There’s a lot of mink details, like mink pom-poms, velvet, military style details, a lot of thigh-high boots. It’s quite a rich collection—what a modern day czarina would wear. What brings you out to celebrate in Greenwich? First of all, it’s a great cause. 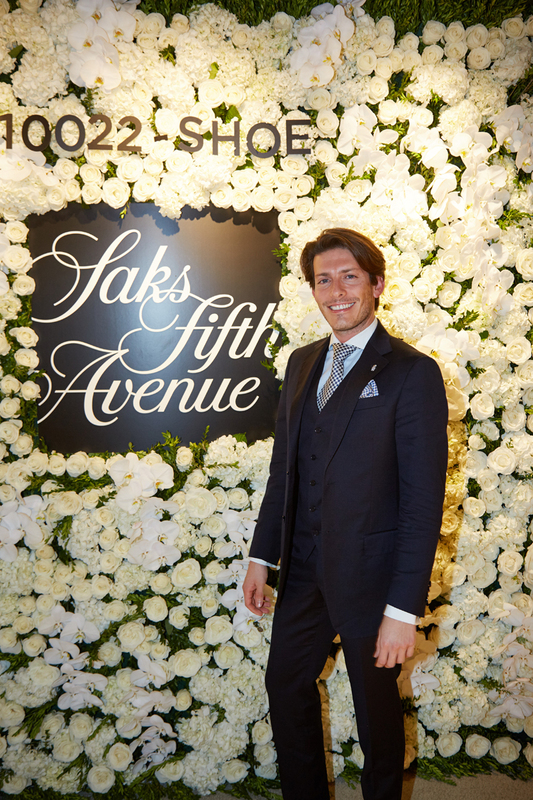 Second of all, Saks has been one of the supporters of Aquazzura since the beginning. I love the idea that they’re opening a standalone shoe store; it’s a completely new and innovative project for any department store in the U.S. This is my first time. I just arrived, so I’ll have to tell you what I think tomorrow! What impact do you think this concept will have on the footwear business? The footwear business is one of the fastest growing sectors in luxury. When you start an outfit, you probably start with shoes nowadays. And if you want to invest in something luxury, you probably start with shoes. 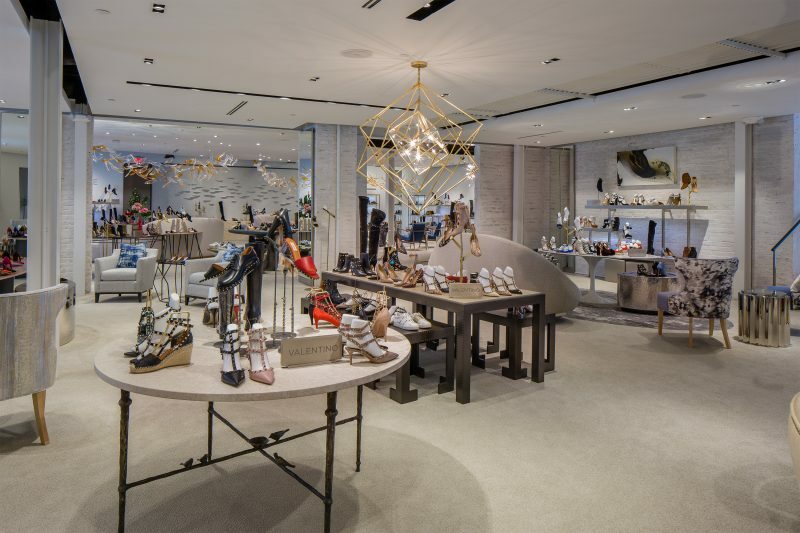 Spaces like this, that are dedicated to shoes, make it so much easier to shop—you’re not overwhelmed by all the merchandise and it’s a much more curated and intimate setting. Is there anything you’re currently obsessing over? I was kind of obsessed with Narcos [Laughs]. Being Colombian, it’s not a very good part of my history, but it’s pretty cool!